Mick Nicholls began studying the Martial Arts in 1973. Before that he studied Boxing for about five years, having both amateur and professional bouts. Mick’s thirst for knowledge has always been a driving force in his training, often studying up to three different systems at the same time. He has trained in the Japanese, Okinawan, Korean, Brazilian, Thai, American, Chinese and Filipino Martial Arts systems, many of these being studied in their mother countries. Over the years he has travelled and trained in Japan, Thailand, Hong Kong, Singapore, UK (London & Manchester), The Philippines, Canada and the USA (Los Angeles, Tacoma & Oregon). He has had the privilege of studying under some of the world’s elite and renowned Martial Arts masters. Mick spent nine years working as a doorman (bouncer) in some of Melbourne’s roughest establishments from the mid 1970’s to the mid 1980’s. This hands on experience is what has influenced the arts that he teaches in as far as the techniques, training methods and application principles. In 1979 Mick founded Freestyle Combat Karate Australia, a self-defence based system, with no focus on competition but concentrating on giving it’s members the tools to survive in today’s violent society. Freestyle Combat concentrates on giving real answers to real questions regarding street defence. 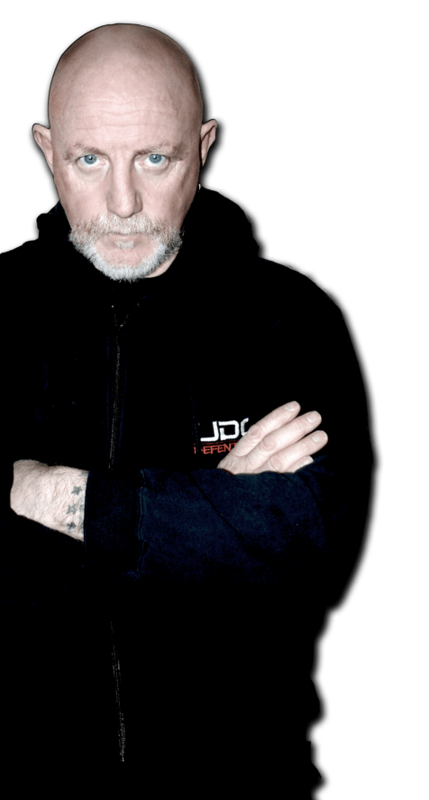 In 1997 Mick received the prestigious BLITZ Magazine Freestyle Instructor of the Year Award, an award given to Australia’s best instructors, he has also written several articles on modern street defence concepts, knife defence and practical training for the street, as well as psychology of confrontation for BLITZ over the years. Mick has also studied under Bobby Breen (UK), Larry Hartsell, James Keating, Eric Paulson (USA), Tony Blaurer (Canada), Master Lee Kam Wing (Hong Kong), Dave Hedgecock, Nino Pilla, John Will, John Donehue, and Roland Dantes (Australia). Mick currently holds the rank of 8th Dan Black Belt in Freestyle Combat. He has also studied Goju Karate, Shorin Ryu Karate, Shito Ryu Karate, Mugen Do, Zen Do Kai, Wing Chun, 7 Star Praying Mantis, Tae Kwon Do, Judo, Docepares Escrima and Brazilian Ju Jitsu, and has Level 2 Sports Martial Arts Coach credentials with the Department of Sport and Recreation as well as a Diploma in Sports Coaching (Martial Arts) a Diploma in Sportys Development and a Cert 4 Trainer and Assessor. Mick is also a qualified Masseur in both western and eastern massage.